“A Day of General Thanksgiving to Almighty God for the bountiful harvest with which Canada has been blessed … to be observed on the 2nd Monday in October.” Canada has a long history of celebrating Thanksgiving. Martin Frobisher, the famous explorer, is created with the first Canadian Thanksgiving in 1578 when he held a formal ceremony giving thanks for surviving his long journey. Thanksgiving is a time to get together with family and friends and be thankful for all the blessings we have. A big part of our blessings is seeing God and what He does in the normal and routine parts of our lives. At Our Lady of the Assumption I am thankful for the many blessings God has given us. and yes, the many great groaners the students give me. 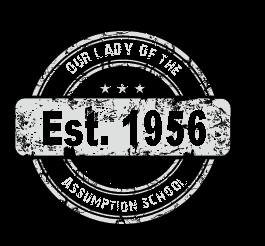 I am truly thankful for all the gifts God has given Our Lady of the Assumption School.